ABCD is a rhombus. DPR and CBR are straight lines. 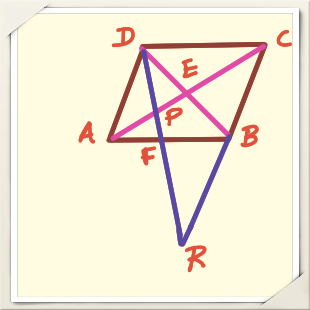 Given ABCD is rhombus . DPR and CBR are straight lines. ∴ ∆ ADP and ∆ PCR are similar triangle . For two similar triangles [ADP and PCR] which angles are equal. The ratio of sides of one angle can be equal to the ratio of sides of other triangle . Please read about similar triangles , you can get this property. Hope I am able to clarify your query.